Our program is open 7am - 6pm Monday through Friday all year, with flexible part time or full time care options. The center is located in the heart of Highland Park, less than two miles from the New Brunswick train station. The vibrant, stimulating environment was specially designed to encourage each child's individual exploration and healthy development. All full time staff are both CPR and First Aid certified and participate in ongoing professional development training. The experience based curriculum is enriched with Jewish values and includes a broad range of exciting activities each day. 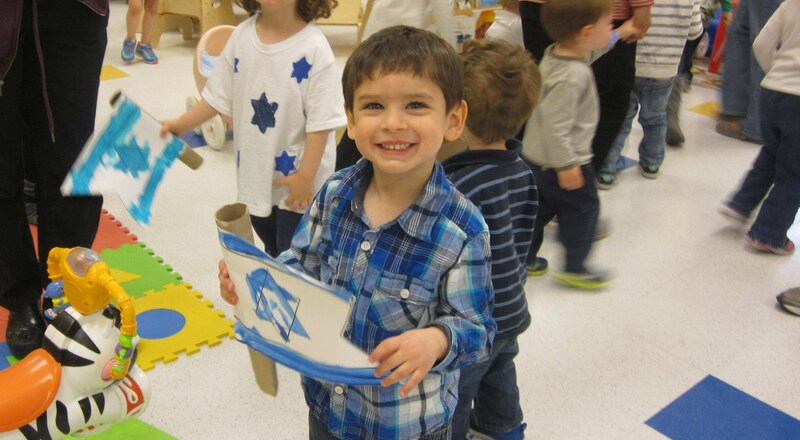 Highlights of the week include music class, summer water play and a Shabbat party. The center boasts bright, spacious classrooms, flooded with natural sunlight. Children enjoy outside play on the gated playground. A security system and video monitored classrooms offer parents the peace of mind that their children are safe and well cared for at the center, while the covered entryway from the parking allows for easy access during drop off and pick up time. For more information about the program or to schedule a tour, please call the Director, Sharon Raven, at (732) 545-5437.